Disenrollment Period? What happens during the Medicare Disenrollment Period? Between January 1st and February 14th, people who are signed up for Medicare Advantage Plans (Both HMOs and PPOs) are able to leave their plan and switch back to Original Medicare. If they switch to original Medicare during this period then they will be subject to the deductibles and co-insurance amounts of Medicare, unless they are able to qualify for a Medicare Supplement Plan, also known as Medi-gap. Once someone disenrolls from a Medicare Advantage HMO or PPO, they have the opportunity to enroll in a stand-alone Prescription drug plan so that they will have drug coverage. The drug coverage will begin the 1st day of the month after the plan receives your enrollment form. What does this mean for you? It's simple. If you are happy with your Managed Care choice, then do nothing. You will have the opportunity to make changes, if needed, during open enrollment period. 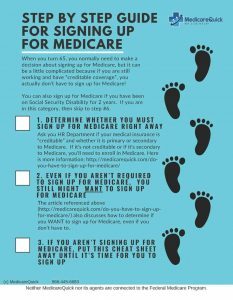 However, if you want to leave your Medicare Managed Care plan (also known as a Medicare Advantage Plan) and would like a plan that has NO NETWORKS so that you can go to ANY doctor, in ANY state that accepts Medicare, then you can disenroll in your Medicare Advantage plan during the Disenrollment Period, and apply for a Medigap plan. Be careful though! You might not qualify for a Medicare Supplement plan. **Before you dis-enroll, be sure to read this for some very important information. For more information, you can also call our office at 866-445-6683 or contact us using our contact form.